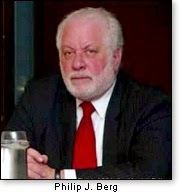 Editor's note: Philip J. Berg, former deputy attorney general of Pennsylvania and an activist attorney who brought a lawsuit challenging the eligibility of Barack Obama to become president of the United States, has written the following reply to Jamie Freeze's Dec. 22 RenewAmerica article "Facts are stubborn things: Obama is a natural-born citizen." Jamie Freeze, a law student, has called any of us who question Soetoro/Obama's citizenship status and constitutional eligibility to serve as U.S. President — a constitutional right of ours, of course — incompetent idiots. Ms. Freeze, however, may want to continue her education. Part of being a lawyer, a very important part, is being able to comprehend what you read and to cite the correct law to collaborate it, something Ms. Freeze has clearly failed to do. I will respond below to Ms. Freeze's allegations. My responses are in bold. I also want to make very clear to all readers that none of the eligibility cases have been heard, litigated, or dismissed based on the law pertaining to any of the issues raised. Instead, the eligibility cases have been dismissed on the basis of "STANDING" only. This type of thing by Ms. Freeze is what gives folks the WRONG information and confuses them. It is a deception by Ms. Freeze (as a law student, I hope her professors teach her how to properly, honestly, and with integrity investigate, research the laws, properly cite the laws, and argue issues before her). Otherwise, she will be unable to do her clients — when that time comes, assuming she passes the bar — justice. I never will forget meeting former North Carolina State Senator Hugh Webster my senior year of high school. He came to my school and had lunch with the seniors. As he sat down beside me, I asked him to tell me what he most loved and hated about being in Raleigh. I don't remember what he most loved, but I'll never forget what he most hated. In the words of Mr. Webster, "I don't deal well with incompetent people." Ms. Freeze, unfortunately, is showing her "INCOMPETENCE," as Ms. Freeze would call it, but I feel "IGNORANCE" is the more appropriate word, as outlined below. At that point, I knew Mr. Webster and I were kindred spirits. I too don't deal well with incompetent people. As a matter of fact, I go out of my way to avoid them, but when dealing with them is inevitable, I can't help but point out their incompetencies. As a law student, I am being trained to be meticulous, well-reasoned, and intelligent. After my final exam grades come back, we'll see how well I'm doing. But that aside, I feel that I have been too longsuffering in letting the Birther Movement receive simply a few caustic remarks and jabs from me. It's time for me to call a spade a spade. Here goes: If you believe that President Obama is NOT a natural-born citizen, then you are an incompetent idiot who is probably watching Glenn Beck while wearing a tin-foil hat. You probably think Obama's a Muslim too. Our lawsuits have nothing to do with Soetoro/Obama's religion, they never have. Ms. Freeze seems to have lost a very important part of her education. We as people are entitled to redress, and we as people are entitled to ask questions, especially of our elected officials. Incompetent idiot? It appears that Ms. Freeze's law school has taught her that when you cannot counter something, call the opposing party names. That is not what I was taught in school. I do not see one shred of evidence that supports Ms. Freeze's position. Ms. Freeze obviously forgot about Barry Soetoro's name: Did she locate where he legally changed his name to Barack H. Obama? It is fraud to run for and serve as President under an "alias" name. What about Soetoro/Obama's Indonesian citizenship? We have the school record, which Soetoro/Obama has admitted too. If you are still reading (and not firing off angry emails), then allow me to offer you factual proof that Obama is a natural-born citizen who satisfies the constitutional requirements for Commander-in-Chief. My argument is two-fold: 1. Obama was born in Hawaii (a U.S. state for my incompetent readers). 2. Obama satisfies the requirements found in the Immigration and Nationality Act of 1952, which defines natural-born citizens. Where is the factual proof? Ms. Freeze apparently forgot to attach it. What does Ms. Freeze have to back up the assertion that Soetoro/Obama was born in Hawaii? We have been unable to obtain verification of that — no long form birth certificate, only an image that has been deemed a forgery. Despite this, what about his Indonesian citizenship? Had Ms. Freeze read our briefs, and retained the information, she would have seen that all we do is talk about the Nationality Act of 1940, revised in 1952. 1. Obama was born in Hawaii. Hawaii joined the Union in 1959. Barack Obama was born in 1961. Do the math. It works. Ok, so perhaps that argument is a bit over-simplified, but that is because I find the birth certificate question so ridiculous. The President released his birth certificate (which was verified by the Hawaii Health Department) yet conspiracy theorists refuse to see logic. "Big bad Obama must be hiding something. That certificate isn't the long form. What's he hiding?" What the naysayers fail to realize is that in 1961 the standard Hawaiian birth certificate was...wait for it...exactly the same length as Obama's! The Hawaiian Health Department has said this, but as conspiracy theorists point out, they must be covering for Obama. Despite the facts, folks say that even if he was born in Hawaii, he is not a natural born citizen because his father was Kenyan. However, even if Obama was born on the moon, he would still be a natural born citizen under the Immigration and Nationality Act. First, the "long version" birth certificate we are asking for has nothing do to with the size of the document itself, instead it has to do with the information on the document. We have never claimed Hawaii was not a state of the Union, so this has nothing to do with the questions we are seeking answers too. Soetoro/Obama released two (2) forged images of a Certification of Live Birth, claiming it to be his birth certificate. The Hawaii Health Department has NEVER verified the images placed on the internet. Law 101: No agency or person can look at an online image and state the document came from their agency or location, unless the person making such statement was the one who personally printed the document in question (Soetoro/Obama's Certification of Live Birth in this case) and handed it to Soetoro/Obama and can prove it is in fact the same document. In Soetoro/Obama's case, his campaign office stated they mailed the application for his Certification of Live Birth to Hawaii and received this supposed document back from Hawaii. However, on the date that Soetoro/Obama would have signed it, Soetoro/Obama was traveling campaigning. We are not disputing the length of Soetoro/Obama's Certification of Live Birth. We have copies of others' actual Certificate of Live births from the same time period. These are two (2) completely different documents. 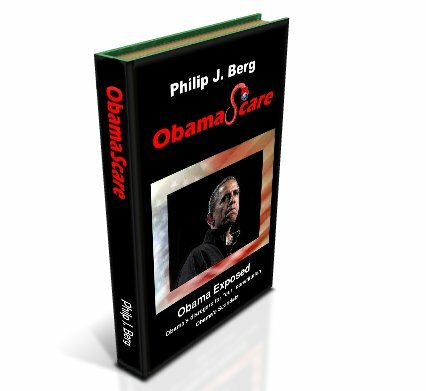 Soetoro/Obama has never released a hard copy of any type of Certification of Live Birth or Certificate of Live Birth to anyone other than Factcheck.org, which is part of Annenberg and, yes, who Soetoro/Obama has close ties with. I am wondering what Ms. Freeze is basing her unsubstantiated statements on. Maybe she will enlighten us. We are not questioning the British father, as we are well aware of the fact that if Soetoro/Obama was born on U.S. soil, which we do not believe, he would in fact be a U.S. "natural born" citizen. However, in fairness to Ms. Freeze, others have questioned the British citizenship of the father and claimed that even if Soetoro/Obama was born on U.S. soil, he would not be a "natural born" U.S. citizen due to his father's foreign citizenship status. I'm going to ask again, what about Soetoro/Obama's legal name and his Indonesian citizenship status? Ms. Freeze fails to address these very important issues. We have been unable to locate any legal documentation legally changing Soetoro's name back to Barack H. Obama; where Soetoro/Obama relinquished his Indonesian citizenship; and/or where Soetoro/Obama reclaimed any U.S. citizenship status he may have once held. Again, hopefully Ms. Freeze will enlighten us. 2. Obama is a natural born citizen. In Scales v. INS, 232 F.3d 1159 (2000), we have a clear definition of what natural born citizenship is. Scales' father was an American serviceman stationed in the Philippines where he met Scales' mother. They married despite the fact that Scales' mother was pregnant with him at the time. In all probability, the court said, Scales was a product of his mother's previous relationship. However, he was born after Mr. Scales married his mother, and he was treated as Scales' son. Later, Scales was facing deportation because of an aggravated felony involving drugs. He challenged his deportation saying he was a natural born citizen. The court determined that natural born citizenship depends on the statute in effect at the time of the child's birth. Since Scales was born in 1977, he was a natural born citizen because a "person shall be a national and citizen of the United States at birth who is born outside the geographical limits of the United States and its outlying possessions of parents one of whom is an alien, and the other a citizen of the United States who, prior to the birth of such person, was physically present in the United States or its outlying possessions for a period or periods totaling not less than ten years, at least five of which were after attaining the age of fourteen years." Id. at 1169; see 8 U.S.C. §1401(a)(7) (1976). Therefore, Scales was a natural born citizen despite the following: having been born in a foreign country, having been born to a non-citizen, having his American father later deny paternity (and prove non-paternity), and having claimed to be a citizen of the Philippines. Sounds like it is difficult to get rid of natural born citizenship. Let's examine Barack Obama's citizenship. I would first like to note that Scales v. INS, 232 F.3d 1159 (2000) is not exactly on point, as neither of Soetoro/Obama's parents were in the U.S. military; however, it does outline some of the issues we present. Some more appropriate cases are United States of America v. Cervantes-Nava, 281 F.3d 501 (2002), Drozd v. I.N.S., 155 F.3d 81, 85-88 (2d Cir.1998), Solis-Espinoza v. Gonzales, 401 F.3d 1090 (9th Cir. 2005). And, if Ms. Freeze would have read and retained what is in our briefs, she would have seen the laws we used. We believe Soetoro/Obama was born in Kenya, contrary to Ms. Freeze's beliefs, and that Soetoro/Obama's mother was not old enough to confer U.S. "natural born" citizenship status to Soetoro/Obama. Moreover, neither of Soetoro/Obama's parents were in the U.S. military at the time of Soetoro/Obama's birth, therefore her whole argument above, which was meant to mislead people and which is very ignorant for a law student, does not pertain. Ms. Freeze also forgets to mention that the Nationality Act was revised in 1986 with a proviso regarding active military. The only part of the code that was retroactive was the proviso regarding military status, nothing else. But again, neither of Seotoro/Obama's parents were in the U.S. military. Moreover, contrary to Scales, Soetoro/Obama's father admitted paternity, and the parents were married in Hawaii prior to Soetoro/Obama's birth. Ms. Freeze has done nothing more than attempt to misapply the laws. And once again, Ms. Freeze also fails to address the legal name of Soetoro/Obama or Soetoro/Obama's Indonesian citizenship. Obama's citizenship will be determined under the 1952 version of the Immigration and Nationality Act since he was born in 1961 and the Act wasn't updated again until 1966. According to § 301(a)(5) of the Immigration and Nationality Act (66 Stat. 235), "a person born in an outlying possession of the United States of parents one of whom is a citizen of the United States who has been physically present in the United States or one of its outlying possessions for a continuous period of one year at any time prior to the birth of such person [is a natural born citizen]." According to § 305 of the same statute, any person born in Hawaii on or after April 30, 1900 was to be considered a natural born citizen. Obama's mother was a citizen of the United States, and his father was a citizen of Kenya. They were married six months before Obama was born. There is no doubt that Obama's mother resided in the United States or its possessions for at least one year prior to Obama's birth. Therefore, Obama can't be anything other than a natural born citizen. Combine this detail with his birth in an American State, you have a certified natural born citizen. Ms. Freeze's 1966 law fails and she completely contradicts herself. The law that is applied is the law in effect at the time of the birth — in Soetoro/Obama's case, the Nationality Act of 1940, revised 1952. See Marquez-Marquez a/k/a Moreno v. Gonzales, 455 F. 3d 548 (5th Cir. 2006), Runnett v. Shultz, 901 F.2d 782, 783 (9th Cir.1990). Law in 1966 does not apply, unless Ms. Freeze can show me where it states it is retroactive, which she CANNOT. We are not disputing that Hawaii was a state, and we are not disputing that if in fact Soetoro/Obama was born in Hawaii, he would be a U.S. "natural born" citizen. Further, Kenya is not an outlying possession of the U.S. The law used by Ms. Freeze once again does not pertain to the issues outlined in our cases; does not apply to Soetoro/Obama's birth in Kenya; fails to address Soetoro/Obama's legal name; and fails to address Soetoro/Obama's Indonesian citizenship. Moreover, even if the 1966 version applied, which is does NOT, Soetoro/Obama's mother was not present residing in the U.S. for a continuous year prior to Soetoro/Obama's birth. We believe Soetoro/Obama's mother was residing in Kenya and in fact gave birth to Soetoro/Obama in Kenya. Important issues left out by Ms. Freeze in attempt to confuse the reader is the fact Soetoro/Obama became Barry Soetoro an Indonesian Citizenship. No records have been located legally changing Barry Soetoro's name back to Barack H. Obama. No records have been located showing Soetoro/Obama relinquished his Indonesain citizenship, which was a requirement of Indonesia and outlined in their laws (Indonesia did not allow dual citizenship status) and reclaiming any U.S. citizenship status he may have once held. Thus, Soetoro/Obama is still Barry Soetoro an Indonesian Citizen. One last question I have for Ms. Freeze: If in fact Soetoro/Obama was a U.S. "natural born" citizen and eligible to serve as our United States President, why in the world would he spend in excess of a million dollars litigating these cases instead of just proving his citizenship status? I'm curious to see how Ms. Freeze would respond. We know the answer, because Soetoro/Obama can't.